This past Friday night, Saturday & Sunday I mastered the art of the perfect weekend ratio. I ran errands, stayed out late, caught up on sleep, cleaned, worked on the apartment & had a lot of fun! I am a hot coffee drinker. I've hated iced coffee for as long as I can remember. After suffering through last summer in Arizona drinking hot drip coffee & americanos and trying to smile through the beads of sweat, I've decided to make the jump. Starting over the weekend. 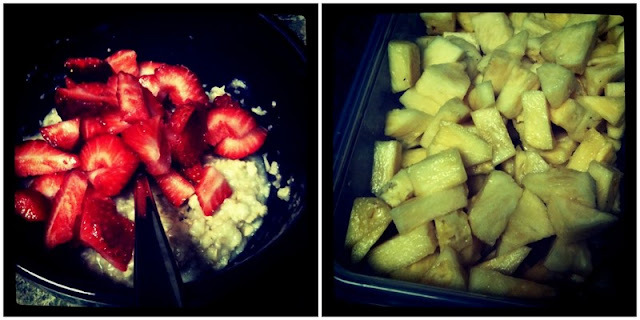 Strawberries in my oatmeal & sliced fresh pineapple for easy lunch assembly. Also, I'm totally a sucker for baking requests. Chris & Brandon asked me to make chocolate chip cookies, and even offered to buy the ingredients! I just couldn't refuse. PLUS this gave me the opportunity to try the cookies with powdered pudding, instead of the pudding cups. I used this recipe. Mmm. It also gave me an opportunity to test out my new handy cookie scooper! Every cookie was perfect sized. Seriously, I've never been so impressed. No wonder Martha uses one too. To settle the powdered pudding vs. pudding pudding debate... my vote goes with powdered! The cookies were fluffy and chewy, even more so than the oatmeal chocolate chip ones. Now I'll just have to try it out on the oatmeal version to make sure that it actually is the best way to go. 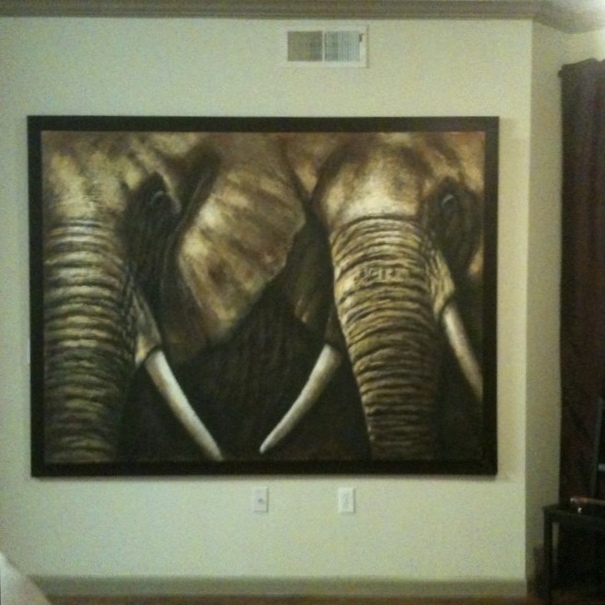 Chris & I hung up my painting! Now I just need to figure out how to dispel the constant anxiety over it ripping out of my wall/falling/wire snapping/ruining. It is scaring the crap out of me. Where did you get the cookie scooper? please share!! P.S. Weekend looks super fun! Michaels! My second home, I found it in the baking goodies aisle. 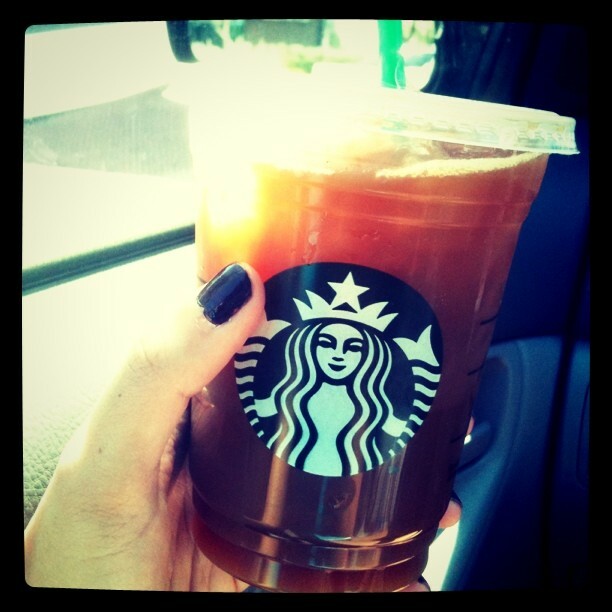 So glad you decided to give iced coffee a chance! I'm a big fan! What a charming weekend you had...those cookies look yummy. Chocolate chip is a classic and it's my favorite.